Mrs. Stillions is married to Sandy Stillions. She has 2 daughters, Emily and Molly, and 2 grand daughters, Mackenzie and Madison. Mrs. Stillions attended Mississippi State for 3 years and graduated from Delta State. She loves math, gardening, and reading. She attends church at Oakhurst Baptist. 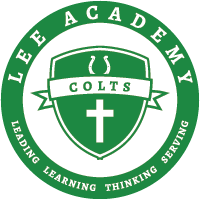 "My favorite thing about Lee is working with students, helping them learn, sharing devotions with them, and nurturing them."